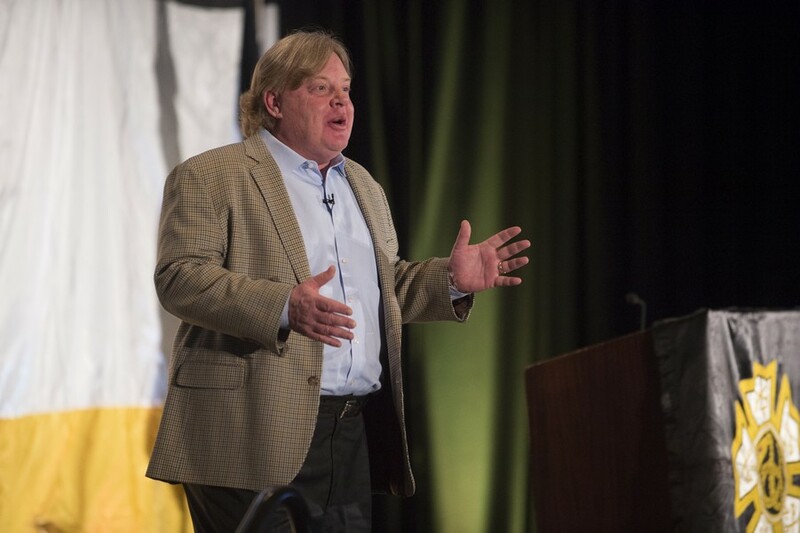 The Delta - v134n2 - 2018 College of Chapters - Sigma Nu Fraternity, Inc.
Regent Lee Perrett’s (Auburn) opening remarks to the 2018 College of Chapters were not only accurate, they were a call to action. A call to action to the over 160 collegiate participants representing Sigma Nu chapters from as far away as Seattle, Washington. Since 2014, Commanders have been invited to travel to Roanoke, Va. for three days to experience the one of the fraternal community’s premier leadership development experiences. It is an experience that prepares many of the attendees for the start of their term as Commander, and sets them up for success. The days start in the early morning and end in the late evening. 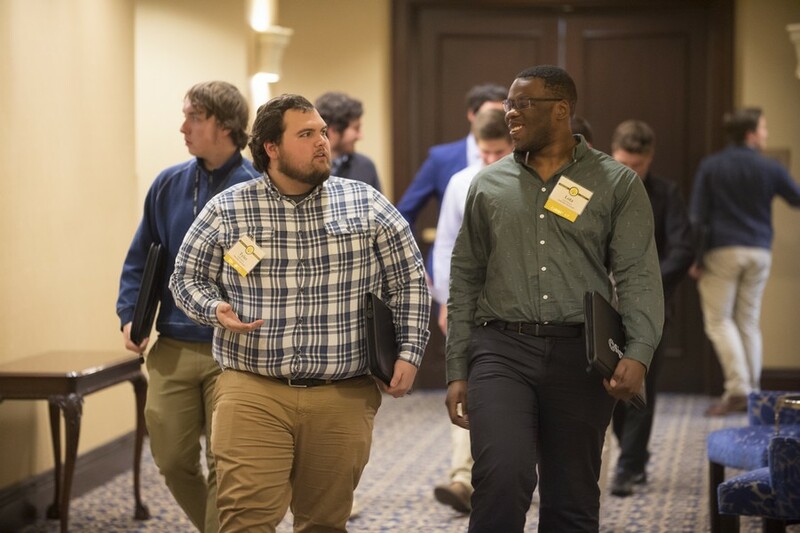 They are packed with curriculum that educates attendees on roster and finances, fraternity policy, goal setting, delegation, strategic planning, and what it means to be a chapter leader in the Legion of Honor. For Commanders, this is where their mission of Excelling with Honor begins. To help explain this story we followed two Commanders, Dylan Annis (Kennesaw State) and Tyler Ansel (Dartmouth), to get their perspective on this event. As temperatures in Roanoke stay below freezing, participants begin to arrive at the historic Hotel Roanoke. The attendees for College of Chapters aren’t just limited to collegians however. Members of the High Council and Sigma Nu Educational Foundation Board of Directors arrived the prior evening for this morning’s joint-meeting. The Headquarters staff also arrived a day early to setup the onsite staff office and finish preparing registration materials. Alumni faculty members also arrive on this day. These alumni faculty will be paired with a member of the Headquarters staff and will co-facilitate the Chapter Group Meetings. These small group educational sessions have attendees from chapters similar in size and geography grouped together. “Honestly, my favorite part are the Chapter Meetings. You get to work with people from the same area and similar chapters who are going through the same problems you’re going through,” Dylan describes this experience. Once everyone has arrived and settled in, an early dinner is the first time that all of the attendees convene together. After that, the group shifts to the Roanoke Ballroom next door for the opening general session. With the portraits of Founders Hopkins, Quarles, and Riley looking on, Regent Perrett opens the 2018 College of Chapters. Joined by Regent-Elect John Hearn (Georgia), the past year’s award winners are recognized. This includes the induction of recent class of Alpha Affiliates. 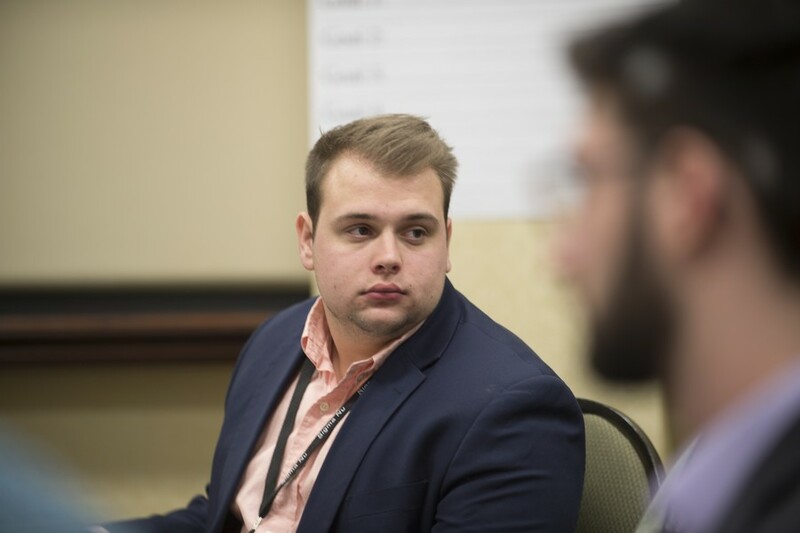 Dylan Annis (Kennesaw State) listens in on a chapter group discussion. After that, the curriculum begins with the first Chapter Meeting and Core Session #1 on Visionary Leadership. One of the great side-effects of bringing such a large group of passionate Sigma Nus together are the discussions that brothers share in-between curriculum or at meal functions. “I talked a lot with Kyle Svoboda (Kansas) as well as the guys from Epsilon Zeta (Florida). They provided some great ideas on how we can better structure our Bylaws,” Dylan shared. The night ends close to 10:00 PM but the hallways and common areas still bristle with the noise of brothers talking into the evening. If Day 1 was dipping your toe into the water, Day 2 is taking a nosedive into the deep end of the pool. An 8:00 AM breakfast leaves little room for sleeping in, and the buffet prepared ensures no one will be going hungry for the next few days. Day 2 covers a lot of ground with the morning focusing on turning a vision into a strategy. This day introduces another concept of College of Chapters, the Breakout Session. Over the course of College of Chapters each attendee will be able to attend four Breakout Sessions. Some of these have been pre-selected for participants based on their chapter’s Pursuit of Excellence Program performance, but some will also be elective. Participants can meet one-on-one with an alumni faculty member for coaching, find out what it takes to go from good to excellent, or find out how they can redefine excellence as a Rock Chapter and sustain success. Tyler Ansel (Dartmouth) and Lota Ezenwa (Dartmouth) discuss their most recent session through the halls of the Hotel Roanoke. The afternoon’s curriculum switches gears to the more detailed and technical aspects of being a Commander in Sigma Nu. Participants are educated on roster management, chapter finances, and fraternity policies. These may not be the most exciting sessions but they are arguably some of the most important for Commanders to take back to their chapters and educate their brothers on. As the saying goes, you can’t have fun without the fundamentals. A final Core Session for the evening wraps up the evening and participants are reminded to dress warm for the following morning which is likely the piece of College of Chapters that most look forward to: the pilgrimage to Headquarters and the Virginia Military Institute in Lexington, Va. The final day of College of Chapters packs a punch. Breakfast is an hour earlier than the previous morning. The collegians arrive tired but excited, almost all of them making a straight line for the coffee station. It’s a big day for everyone. Outside several large buses sit waiting, their engines idling. They’re just a stone’s throw away but between them and the hotel’s doors is about fifty yards of frigid 17-degree weather. The staff wasn’t joking the previous evening when they suggested heavy coats and long underwear for the day’s trip. 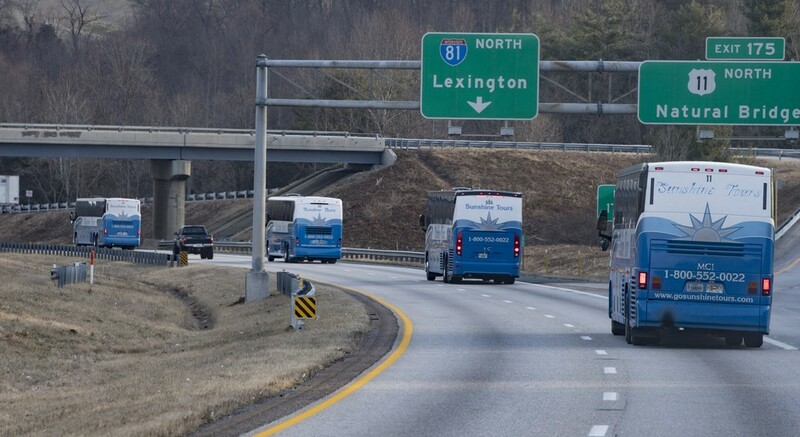 Busses roll down I-81 towards Lexington, Va.
Once the buses are loaded up and head-counts are finished to ensure no one gets left behind, the entire College of Chapters contingent depart Roanoke for the short hour-long drive up the interstate to Lexington, Va. Once there, half of the attendees will start their tours at VMI while the other half will start their tours at the Headquarters property. After the tours, everyone meets up inside historic Jackson Memorial Hall and grabs a seat. Ahead of them looms a massive mural depicting the Battle of New Market and a valiant charge from the VMI Cadets who marched there to engage in battle. The afternoon Keynote is Colonel Keith Gibson, the Executive Director of the VMI Museum System. 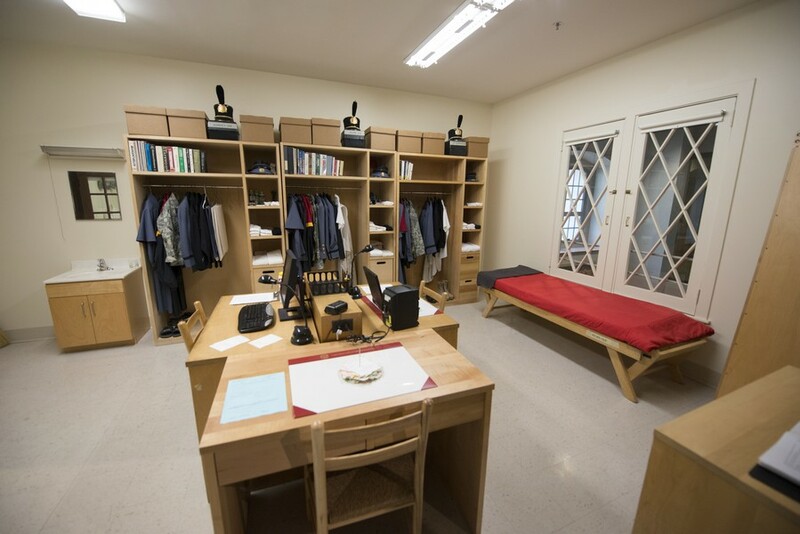 A mockup of a VMI Barracks room is displayed in the VMI Museum. After the keynote, the attendees are hurried back to the buses to make the trek back to Roanoke for lunch, more curriculum, and College of Chapters’ final keynote. The final keynote speaker is Bill Courtney (Mississippi), the subject of the Academy Award-winning documentary “Undefeated.” Courtney has just flown to Roanoke to give a keynote however. He has also graciously donated an autographed copy of his book, “Against the Grain,” to every attendee and spent some time meeting one-on-one with several Rock Chapters exclusively. Bill Courtney (Mississippi) speaks to the attendees on the importance of leaving your comfort zone. After the keynote concludes, only one item remains on the schedule for the participants. 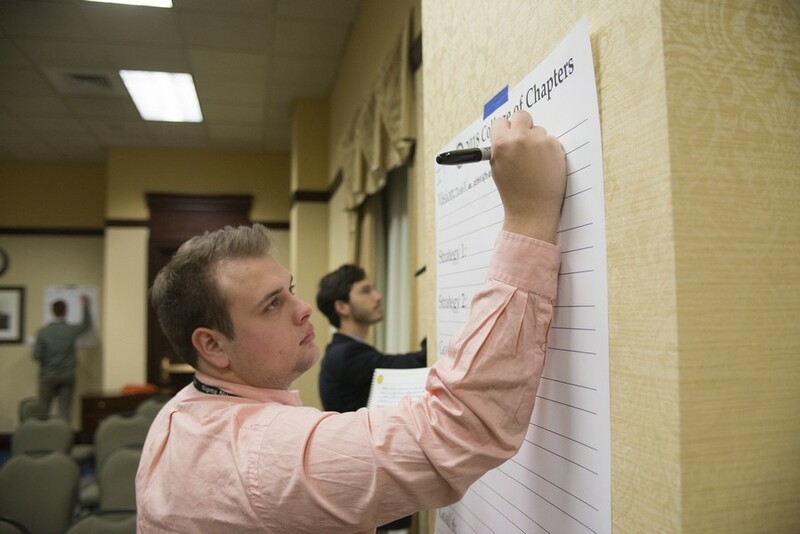 At that final Chapter Meeting they finally make true and real their commitment to lead their chapters to excellence by putting pen to paper and filling out a poster-sized strategic plan from the past several days. College of Chapters concludes by putting pen to paper and writing out each Commander's action plan for his chapter. In closing, Tyler provides perhaps the best reason for why not only this experience, but the entire Sigma Nu experience, is important…even on an Ivy League campus like Dartmouth. 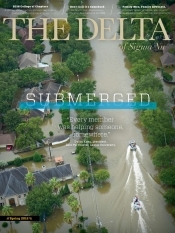 “Fraternities in general offer a unique experience and perspective that those who don't participate won't get during college,” he says while in thought.